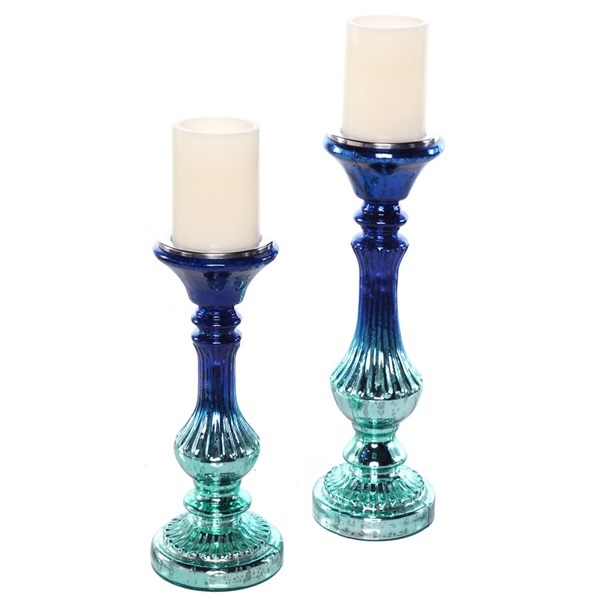 Take a trip to the California coast with these hand blown glass candle holders. 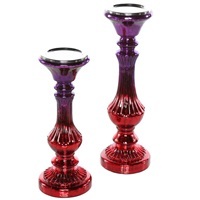 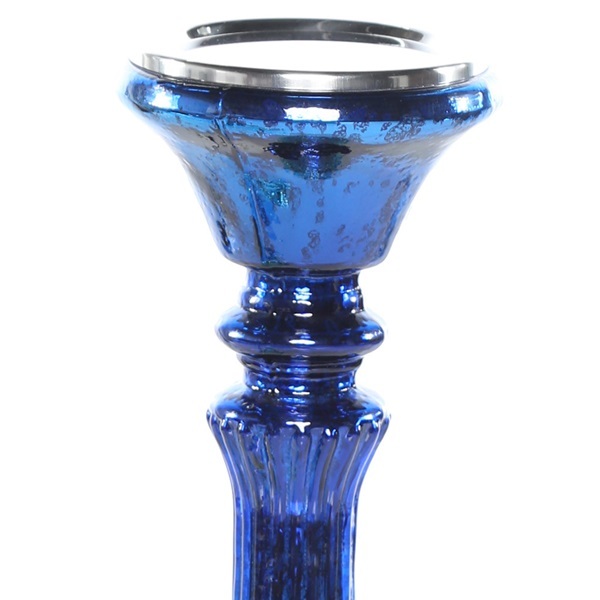 These regal candle sticks have a traditional feel, while the vibrant colors add a bohemian whimsy to these unique accents. 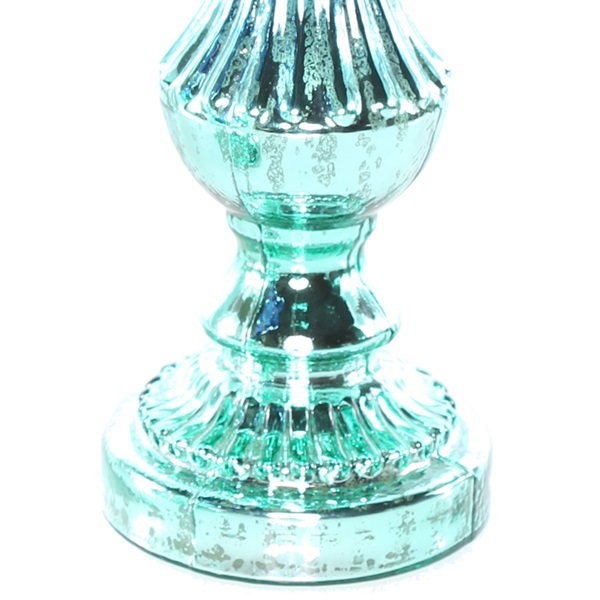 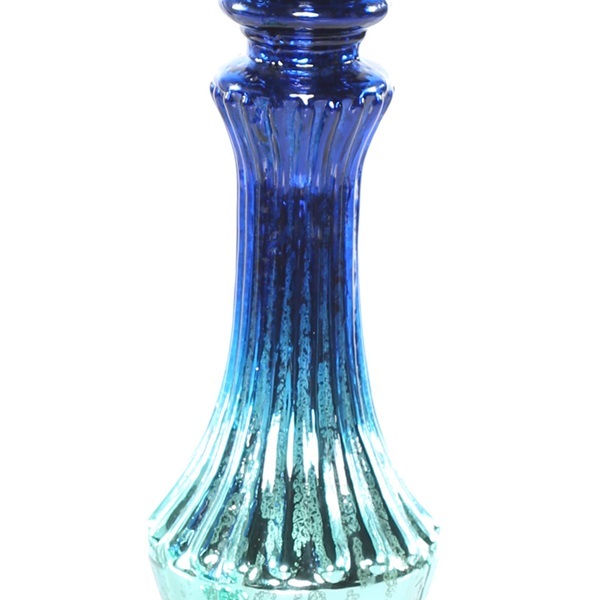 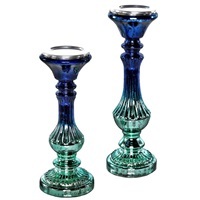 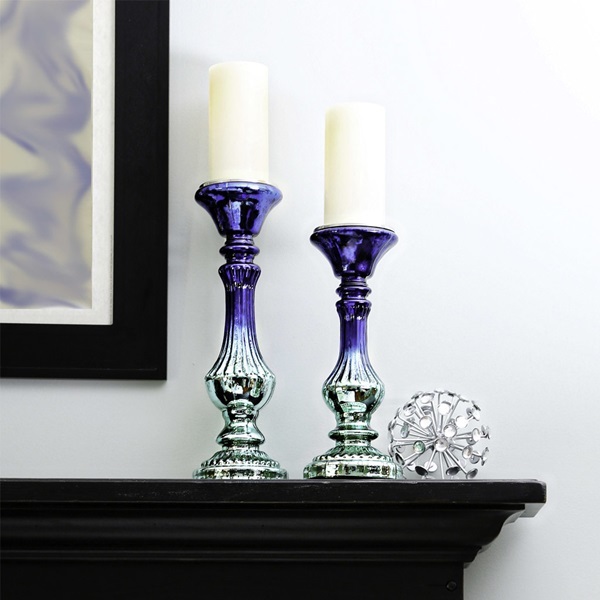 Bring some color and sparkle into your home with this set of two, hand crafted, glass candlesticks in ombre blue and teal or purple and red. 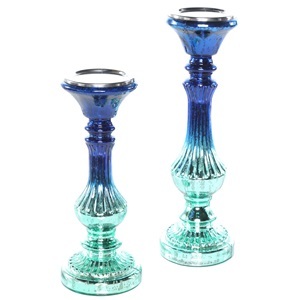 GLASS PURPLE & RED 4.75" 4.75"
GLASS DARK BLUE & TEAL 4.75" 4.75"